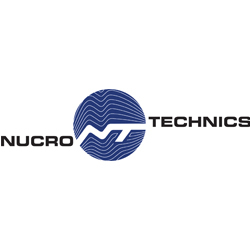 Nucro-Technics is a Contract Testing Laboratory that has been operating since 1970, and that offers the most complete range of services for the testing of cannabis for medical purposes. Through the Controlled Drugs and Substances Act, Nucro-Technics has been testing marijuana, as well as its constituent d9-THC, d8-THC, Cannabidiol, and Cannabinol for decades across many different formulation types including but not limited to: dried leaves, oils, capsules, tablets, lotions, creams, food preparations and patches. Testing that is performed at Nucro-Technics includes: Physical ID & Foreign Matter Inspection; Cannabinoid Profiling & Potency Determination; Aflatoxins; Heavy Metals Analysis; Solvent Residue Testing; Microbial Screening; Pesticide Testing; and Terpene Profile Analysis. Marijuana studies conducted by Nucro-Technics are compliant with the pending Cannabis Act and the current Access to Cannabis for Medical Purposes Regulations. These studies cover all of the tests specified in Part 6 of the regulations and are used to support the release product to market and to ensure its safety to patients. Nucro-Technics conducts quality work only using validated methods that are compliant with Health Canada, FDA, and European regulations.